Coffee makes a good conversation topic, but most of all, a great tradition. I bet you also enjoy having your coffee time every morning. It’s part the morning routine, it’s something special…it’s coffee! Now, we cannot talk about coffee without talking about coffee mugs. My best friend’s mood literally changes after reading his mug’s slogan every morning while enjoying his coffee. It makes him happier and reminds him of what truly matters in life! 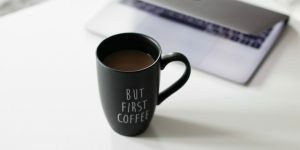 If you’re also passionate about mug designs and slogans, here are some ideas on how to come up with your own! It’s easy, fun, practical, and it might even make your day! Having one of your best sayings printed on your coffee mugs is funny and very original. You’re going to have a blast reading it every morning and reminding yourself how nerdy you can be. Of course, you can always offer the mug as a present to your bestie, so that he or she reminds you every morning and smiles. Brainstorm different ideas before picking the lucky one. Don’t rush into it! Coming up with an appropriate slogan for your mug is an exhaustive process that takes time. Since I bet you’re passionate about arts and crafts, take your time to think about different ideas and try different slogans. It’s going to be totally worth it in the end! Nothing can replace a bad joke, as nothing will replace a bad mug slogan. Sarcastic comments and funny replies will look good on your favorite mug, so don’t hesitate to use them. 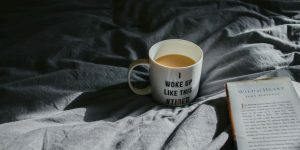 Do you like smiling in the morning, or do you enjoy visualizing an interesting nature-life mug pattern? Do you like reading quotes, or are you mostly impressed with beautiful landscapes? How about your favorite color? Which one relaxes you? Are you left-brain-sided or right-brain-sided? Do you watch any funny TV shows (hint hint: Friends)? Do you laugh a lot or are you usually a serious person? Make sure you take all these things into consideration when you design your own mug. Add that special ingredient to your mug by making it yourself! 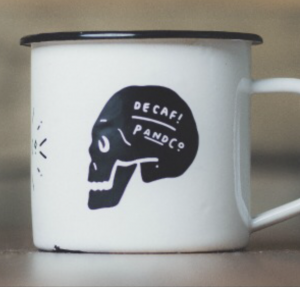 If you’re a small business owner, designing mugs can be really advantageous for you. If you sell enough, not only that you make extra money on the side, but you promote your business wisely! The more you sell, the better you are making yourself known. 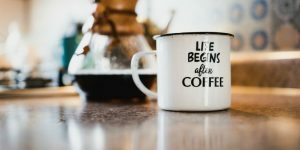 If you decide on using mugs as a business tool, there are certain slogans that will be memorable for your clients. 6. Which Slogans Work for Your Clients? Customers are easily impressed by a slogan if they laugh. The greatest business advice I’ve ever got from someone was, “If you can make them laugh, you can make them do anything.” So true! If you want to develop your brand and expand your sales, you must set a funny-professional idea on your clients’ minds. What does that mean? Good question! "Search for a short, yet powerful slogan. For example, Walmart’s slogan is “Save money. Live better.” It is so simple, but so exhaustive! It includes everything you want to hear. And that’s exactly what you are going to give to your customers." If the audience won’t get the message you’re trying to deliver quickly enough, the essence of the slogan is lost. Keep slogans shorter than one sentence. Get feedback from every customer! Sometimes we just want simplicity, and our clients want simplicity too. Short phrases can give out positive vibes and powerful messages. For instance, if your company sells dog food, you should design a coffee mug starring a dog who drinks coffee in an amusing way. If you don’t want too much, don’t add anything else on it. If you think a slogan would fit, write something funny that captures the eye of the beholder! Whether it’s for your business or not, designing coffee mugs can be extremely fun. Be smart and be you. The rest will come naturally!